This lovely pillow is made entirely in the USA. 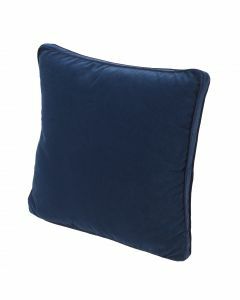 Each small detail of the pillow is cut and stitched by hand by skilled artisans in the Atlanta area. Using local talent allows for more creativity in the design process - the unique designs don't get 'lost in translation'. Local production also allows for a greater level of quality control and faster turnaround times. The timeline from idea conception to getting beautiful product on retailer's shelves is much quicker than if produced overseas. The pillow measures 22" X 22". The pillow includes an insert made from 95% feather 5% down. This pillow is from Lacefield Designs. Click on image for greater detail.